The 12th Street Laguna Burger restaurant is located in the Avanyu Plaza on 12th Street, just north of Interstate 40. The restaurant menu features the award-winning Laguna Burger, plus debuts The Wimp, a 1/3 pound version of its world famous big brother. Perfect for lunch or dinner, our menu also features an entire line-up of Hot Dogs, Salads, Sandwiches, Lit Shakes and more! Our central location makes us the perfect place to grab lunch with co-workers or to meet up with family and friends after work or on the weekends. Special served Fridays, 3/1 – 4/19. 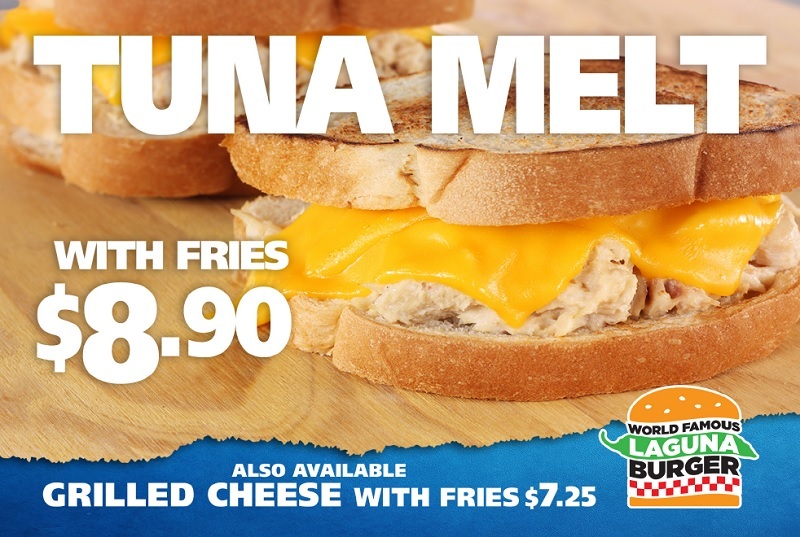 Cruise west on Historic Route 66 and taste the World Famous Laguna Burger in the two original Laguna Burger locations inside The 66 Pit Stop. Both locations are located west of Albuquerque on Interstate 40 and have had the honor of feeding numerous world travelers over the past decade. The casual atmosphere is filled with the laughter of the Laguna Burger chefs mingled with the conversations of families on road trips and businessmen on lunch break. 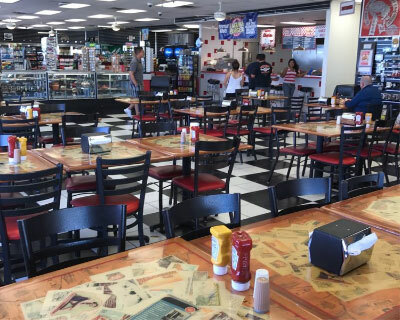 Dining tables are tucked among Route 66 memorabilia, providing a comfortable area to talk with family and friends over a simple and delicious meal.